The threat of sea lice is real and the consequences are proving to be devastating for the commercial salmon farming industry and surrounding environments. Salmon with sea lice are simply miserable - they move slower, eat less, and are at risk of premature death. More and more commercial salmon farms are being challenged with infestations. These infestations affect the health and quality of the farmed salmon as well as wild populations that live or migrate through the farming areas. Farmed and juvenile wild salmon are the most at risk of infestation and are virtually helpless against this relentless parasite. In most instances migrating salmon have to navigate their way through farming areas loaded heavily with lice on their way out to sea – and then again on their way back in to spawn – perpetuating a cycle of transmission and disease. Atlantic salmon frye with sea lice. A juvenile farm raised salmon. 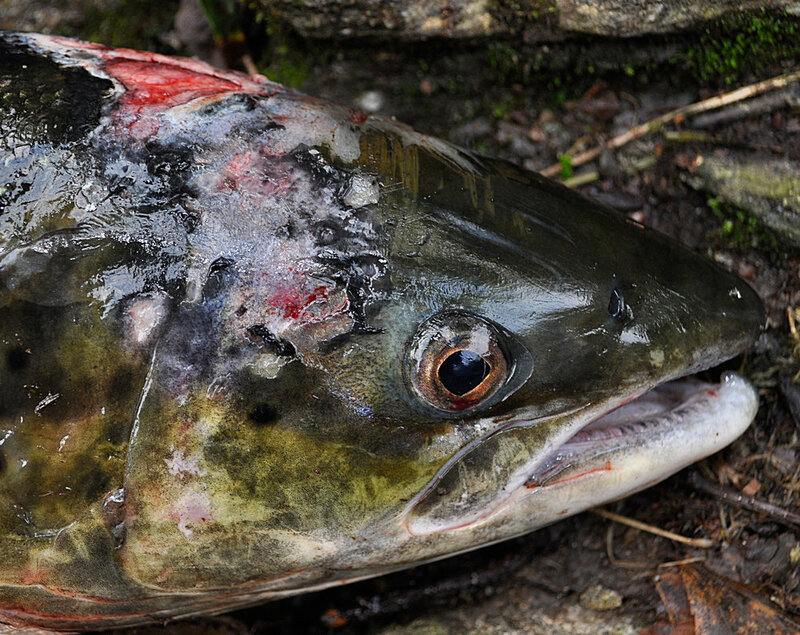 A mature wild salmon scarred by sea lice.